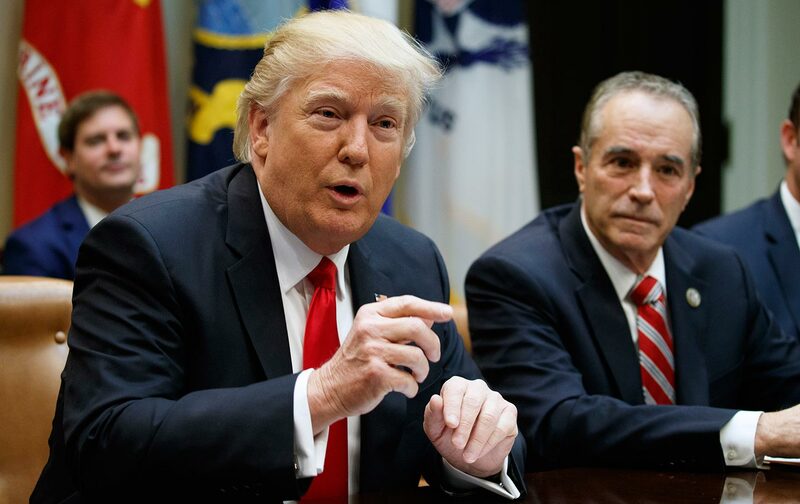 Normally, this would be an unremarkable event—Collins, after all, was the first member of Congress to endorse Donald Trump for president—if not for the fact that Collins was recently the subject of a blistering report from the Office of Congressional Ethics that outlined several unethical and possibly illegal acts. Last week, OCE asserted that “there is a substantial reason to believe” Collins engaged in insider trading by sharing nonpublic information about stock in a biotechnology firm for which he served on the board of directors. It also found that Collins likely used his official position in Congress to lobby the National Institutes of Health to assist that biotech firm, Innate Immunotherapeutics Limited. The facts outlined in the OCE report are pretty damning—swampy, if you will—and the political fallout for the GOP is deepened by the fact that former health-and-human-services secretary Tom Price also bought Innate stock. Price refused to cooperate with the OCE, and the report explicitly stated that the House Committee on Ethics should subpoena Price. In any other administration, it’s virtually impossible to imagine a vice-presidential visit to a member’s district after such troubling allegations of corruption—allegations that may also implicate a top cabinet secretary, who himself just resigned over an unrelated self-enrichment scheme involving private jets. Pence shouldn’t get within three counties of Collins, but he’ll brazenly tour around Western New York with cameras in tow, talking about tax cuts. From the start of his administration, Trump has made it clear that neither that he nor his administration will be bound by traditional ethical boundaries. “The tone starts at the top. So if you look back at the president’s decision not to divest from his businesses, and how he visits them every weekend, it kind of sends a signal that ethics is not high on this administration’s list of priorities,” said Jordan Libowitz of Citizens for Responsibility and Ethics in Washington. It’s a cosmic joke that Trump won the White House chanting “Drain the swamp” and immediately blew through all kinds of ethical norms. But the public needs to be focused on more than simple hypocrisy. The danger is that Trump is instituting a banana-republic style of government in which the party in power is free to engage in flagrant corruption that will never be punished. Trump is simultaneously running a massive company and the country. He has never disclosed his tax returns, even as he pushes to “reform” the tax code. He’s appointed all sorts of industry players to key regulatory posts. He has fired law-enforcement personnel—the head of the FBI, no less—for conducting an investigation into his administration. And now Trump’s White House is giving a pat on the head to a congressman who in any other era would be a pariah right now. Official pardons for favored members of the president’s party are the next step in institutionalized corruption. Trump has already gone down that road with Sheriff Joe Arpaio, and reportedly has explored the possibility of pardoning people in the crosshairs of Robert Mueller. Collins may yet face federal insider-trading charges—and after Pence’s visit, one wonders if Collins might receive a “get out of jail free” card from the White House too. He is a Republican, after all.